Manchester’s status as a haven of equality is inscribed in its history. The suffragette movement and its ethnically diverse population make it one of the UK’s most accepting cities. It is what drew me to it. Compared to the homogeneous city where I grew up, attending university here was an escape to experience somewhere very different. However, since my arrival, I have questioned whether the Mancunian inclusive lifestyle is really as accessible as its reputation suggests. Having worked as a personal assistant for a girl with cerebral palsy since the age of 14, I am well acquainted with the challenges that she faces in being wheelchair-bound. Steps and stares make the everyday a constant strain. Trivial activities are for her so exhausting that some days even pushing her wheelchair is overwhelming. When she visited me in Manchester, I was shocked by the response of the city’s usually friendly residents. Taxi drivers stared, then muttered excuses and drove away. Her wheelchair is car boot friendly and can easily be folded to fit in the back of a vehicle, but this reassurance was apparently insufficient. Chain store coffee shops confessed that their disabled entrances did not function and turned us away. Restaurant staff spoke over her head to her mother to ask what food she wanted (she is articulate and, well, 14 years old). The staff of her large hotel promised that her room was wheelchair accessible, but her mum had to carry her to the toilet because they had forgotten that the bathroom too needed to fit her needs. It is true that I felt sad, but mostly, I felt ashamed. This city which prides itself on inclusion had not embraced her as it does other minorities. The social equality movements embedded in our city life does not extend to people like her as it might do to the the LGBTQ+ community or to those from ethnic backgrounds. 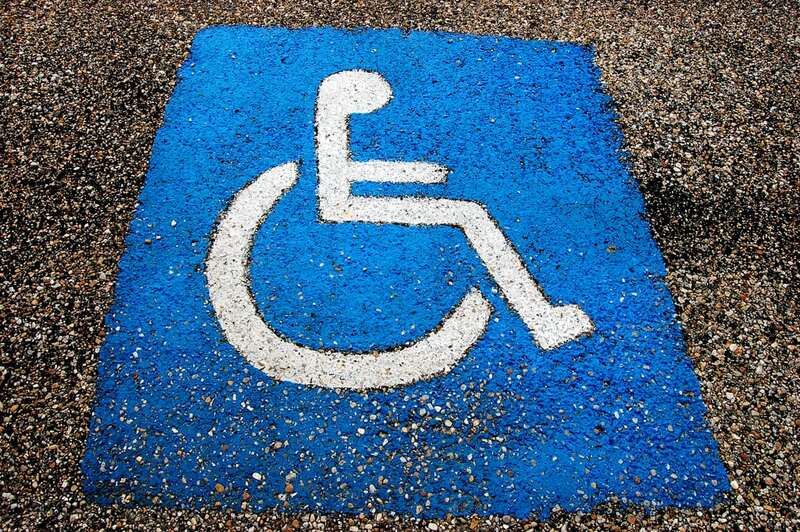 Disabilities are not high up on our equality agenda and I am forced to wonder, why not? Undoubtedly, attitudes towards all minorities are still in the process of being altered, protested and negotiated. The disabled, however, are given very few opportunities for real integration. Even university accommodation does not have disabled access for many of its buildings. If she had visited me last year, she could not have entered my Woolton Hall accommodation due to the large step at its entrance, and certainly could not have ascended the three flights of stairs to reach my room. Despite some buildings being wheelchair-accessible, were she a student she could not hope to enjoy a fraction of the freedom of her peers. The spontaneity of the able-bodied is gifted to us by the practicality of all of our surroundings, unquestioningly tailored to our basic needs. For some, the world lacks accessibility to the point that student life – partying, outings, being heard – remains a distant dream. All fights for equality are valuable. But some voices are yet to even be assimilated enough to reach a point when they have a sufficient platform to be heard. I hope that Manchester continues to shine its acceptance across all those who live here in future. But more than that, I hope that those who are still overlooked are also given a stage.